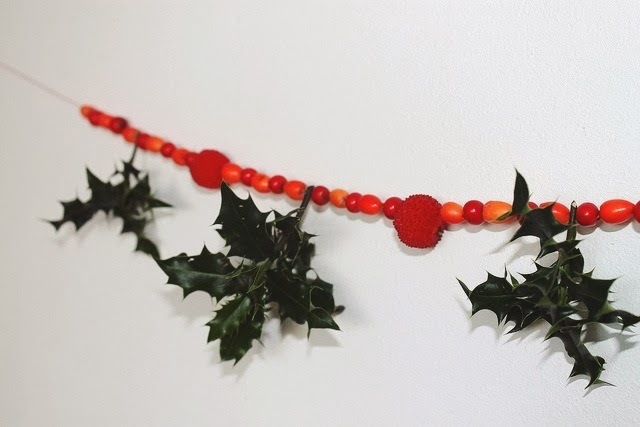 This week for nature in the home Lou had set the task of garlands or something for the wall. 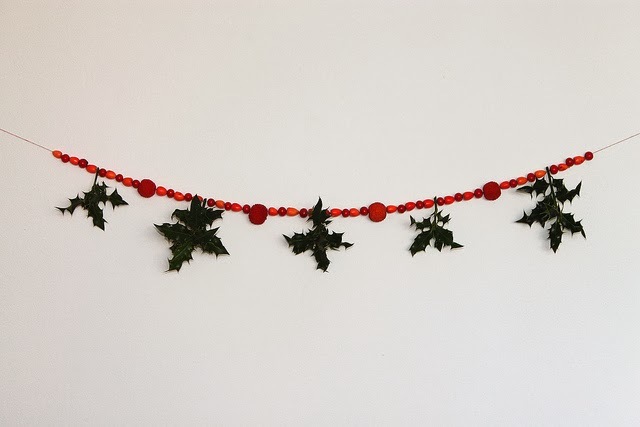 I had bought some Ilex for a Christmassy display this week and couldn't resist threading a few of the berries on some cotton like little beads. 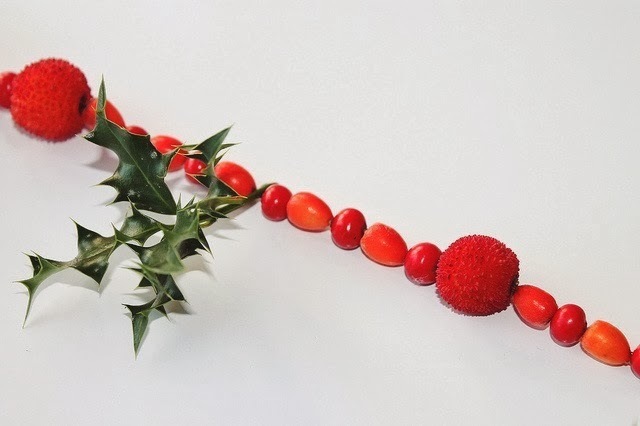 I mixed them with a few other berries and a few little sprigs of holly from the garden too. I have no idea how long they will last like this, but I did love making it! Lovely! I really like the oranges and reds. I've no idea what I'll do for this task...hopefully I'll be inspired! It's really pretty. I love the effect on your photos. oh this is so lovely! and i genuinely thought those were beads until i read! This looks gorgeous! Love how nature can create such great things to bring inside!